EuroFIT, an EU-funded programme which targeted the lifestyles of male football fans of 15 European football clubs has been more effective in improving physical activity than other physical activity intervention programmes, according to research published in PLOS Medicine on February 5, 2019. 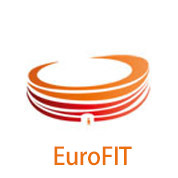 The European Fans in Training (EuroFIT) programme, a randomised control trial of 1113 men aged 30-65, carried out across 15 professional football clubs in England, the Netherlands, Norway and Portugal, also led to important improvements in diet, weight, wellbeing, self-esteem, vitality and biomarkers of health risk. The clubs involved were Arsenal, Everton, Newcastle, Manchester City, Stoke (England); ADO Den Haag, FC Groningen, PSV, Vitesse (the Netherlands); Rosenborg, Strømsgodset, Vålerenga (Norway); and SL Benfica, FC Porto, Sporting CP (Portugal).